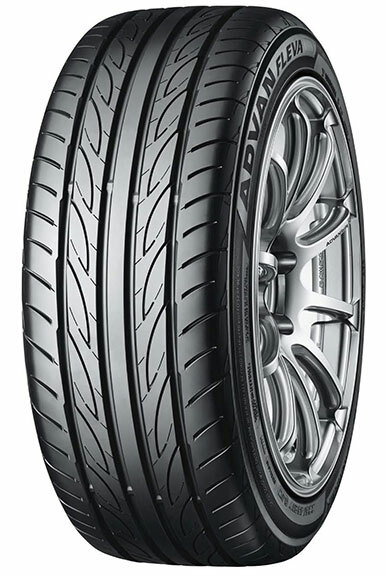 The Advan Fleva V701 is a high performance tyre designed to achieve a dynamic driving experience. This tyre achieves high levels of safety in wet conditions thanks to its directional tread pattern design which features lightning shaped grooves that work to expel water. The Advan Fleva V701 was awarded an ‘A’ for ‘Wet Grip’ in some sizes by the EU Tyre Label. Constructed with a specialist sport compound, this tyre provides the optimal balance of wet grip, high fuel efficiency and resistance against tyre wear.